Just outside Central London lies a park so terrifying, so dangerous, so death-defying that only the bravest of souls bothers to visit. Four years ago, my daughter and I summoned our courage and ventured out to Kew Gardens. We were glad to have made it out alive. 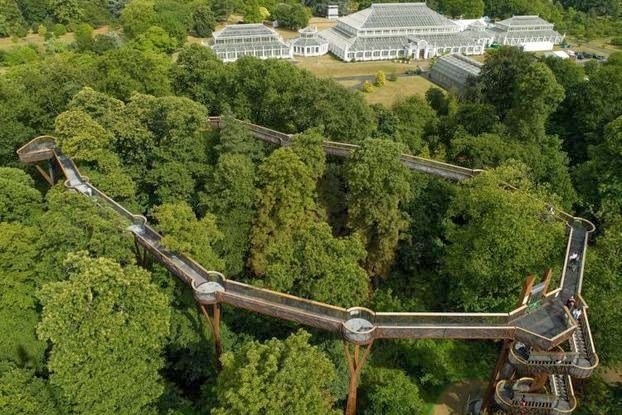 If you’ve ever thought about visiting Kew Gardens, specifically to experience their Treetop Walkway, you should know a thing or two about this little project, which opened in 2008. First, it’s high up in the trees—18 meters (or about 60 feet), according to the Kew Gardens website. Second, the railings are kind of low, compared to U.S. standards—the rail came about to my waist (and I’m 5’9”). I could have easily toppled (or climbed) over the side. Third, it’s a bit rusty. Fourth, it sways in the wind. You take that walk at your own risk. In fact, the Kew Gardens website offers some further advice for people who are thinking about taking this walk (or roll—unbelievably, wheelchairs are allowed, but strollers for babies are not). There are no age or height restrictions. They just ask that children be supervised at all times. Pregnant mothers can make their own choice about whether to go up, but they should be aware that there are 118 stairs. The handrails are 1.3 meters high. The structure is designed to flex slightly in the wind, as I can attest. And yet, every time Caroline and I talk about our visit to Kew Gardens (which, by the way, is lovely and not dangerous at all), we mostly talk about our adventure of climbing the 118 rickety stairs up to the top of the walk and taking the terrifying stroll through the tops of the trees on a rusty, swaying, barely-guarded, piece of metal. We felt like we had stared death, or at least risk, in the face and won. The entire terrifying experience (it was terrifying) makes us giggle with glee because we DID IT. And it is something neither of us will forget. We remarked over and over again that in the U.S. somebody would do something stupid, get hurt, or worse, killed, and sue the park. There would be signs everywhere, explaining the risk and detracting from the sheer beauty of the scenery. Guardrails would be so high that you’d feel like an animal in a cage. And there would be park rangers posted about every 10 feet along the way, making sure that everyone was acting in a safe and appropriate manner. None of that in England. Nobody checking to make sure kids were, indeed, being supervised. Nobody supervising the adults, watching your every move. Just unimpeded views of the gorgeous gardens from the tops of the trees. I worry that kids today don’t get to experience that kind of risk anymore, and so does Hanna Rosin, the author of “The Overprotected Kid” published in The Atlantic this month. Rosin writes about a park in Wales called “The Land” where kids can roam free among cardboard boxes, rusty chairs, a rope swing, and even (gasp!) a small creek. What’s worse, there’s even a fire pit where kids (boys, probably) can play with fire. What?! you’re probably thinking. That’s crazy! As I read the description of “The Land,” it reminded me so much of my childhood on the farm. Most of my days were spent wandering outside, creating, playing, imagining. I’d ride my bike unsupervised for hours, my mom never knowing where I was most of the time. At the end of the day, we’d all meet around the dinner table and share our adventures of the day. I’m sure I didn’t appreciate it as much as I should have then, but now I look back and marvel at the freedom I had. Today, most kids don't have the freedom to roam. Parents are too worried that something terrible might happen. And it might. But does the possibility of risk demand that we eliminate risk from our kids' lives altogether? I had other ideas for my blog this week, but then I read this amazing article (please, click the link above and read it!) and had such a reaction to it that I ended up writing a four-part series. 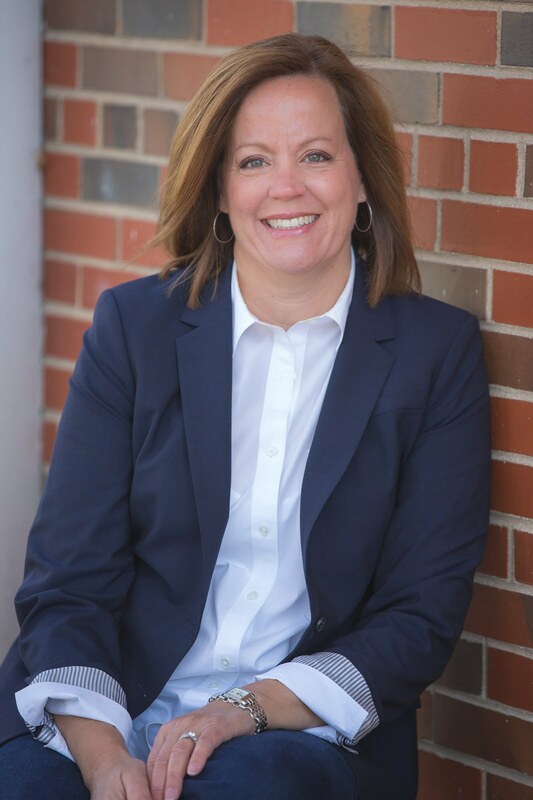 I hope you enjoy my reflections and that you'll share your thoughts in the comments this week. Let's talk about this. My comments were not cooperating on my phone, but I wanted to tell you that this article was amazing and I absolutely loved the 4 part series!